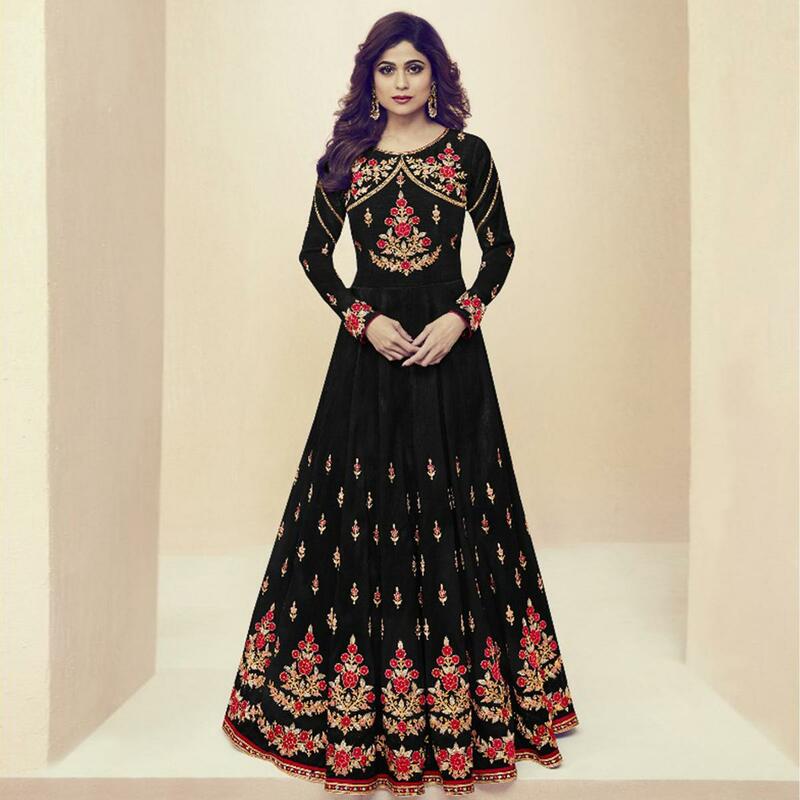 You are bound to make a strong style statement with this black colored anarkali suit. This melbourne silk fabric suit showcased by Shamita Shetty is stylized with embroidered patterns gives an elegant look. This dress is a hit any evening party be it a bridal event like sangeet shaadi or a festive occasion and parties. Outfit comes along with santoon lining, santoon bottom and the chiffon dupatta. Pair it up with classy accessories and heels to make your look more attractive. Get this dress now before it's gone out of stock. Length Chesh upto 44 inches and length upto 58inches. Flair 3Mtr.